Hooray! Yesterday was my last day at work for awhile! It was my last 30 mile commute down the I-15 corridor in this cold winter weather for the year. And what a commute it was today. The roads were icy with the freezing rain that fell overnight and on the return trip, it was heavy snow that had been falling for the past 5 hours. The roads were a mess. Accidents were happening up and down the freeway. But I gritted my teeth, and drove through it. At the end of the day, I barely got up my road and into my driveway. But thankfully, I won't have to do that for awhile. 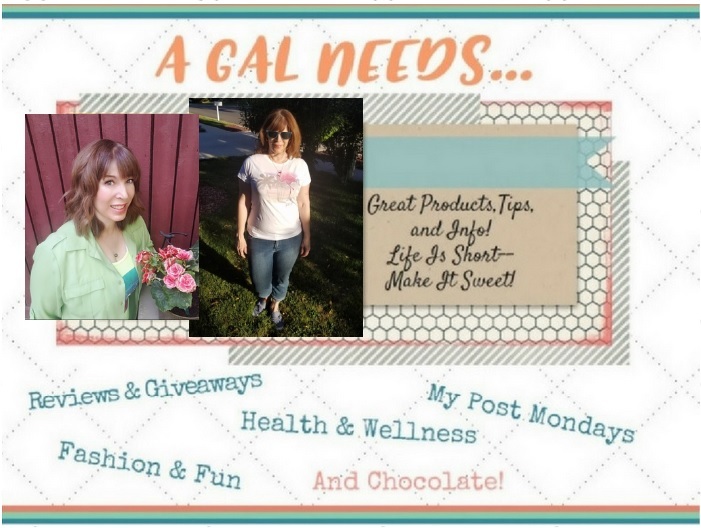 I have some time now to tell you about a couple of products that I really like a lot and have been given the opportunity to try. They are from a company called Trusted Health Products. What a name for a company, eh? In a day and age where Trust is is hard to come by. It's especially hard to know what companies to trust when it comes to beauty products. Which products help and which products harm? Lobbyists from the skincare industry have strongly opposed bills that would require them to notify the government before releasing products that contain ingredients that are known to cause cancer! Ingredients like parabens, petrochemicals and others have been associated with or linked to allergic reactions, skin conditions, hormonal disruptions, neurotoxicity, and even cancer ! Well, you know me, I feel that nature is the best when blended with science, meaning that scientific studies show that certain natural ingredients can and will outperform synthetic ingredients every time--without the risk of harmful side effects. These two particular products that I am talking about now are 100% pure and use natural botanical oils in a live cold pressed solution. I've been using them for awhile and I feel that my skin is drinking them up, like it hasn't received food in a long time, which I am rather insulted by. I'm thinking, hey skin, I have tried my best to give you what you need all this time. I've picked products that have good ingredients and I removed make-up every night and I moisturize. So really, don't act like you're so famished, k? The thing is, I'm also seeing some good results! As I browsed the Trusted Health Products website, I noticed that there are an awful lot of satisfied customers, which I am sure is why they have been awarded an A+ rating with the Better Business Bureau since 2006! It's pretty simple. Use the Beautiful AM in the morning and the Beautiful PM in the evening. You don't have to do anything else. Beautiful’s 100% pure live ingredients are the perfect living “foods” that your skin cells need in order to be fed the nutrients they need to stay clean, moisturized and revitalized on a daily basis. 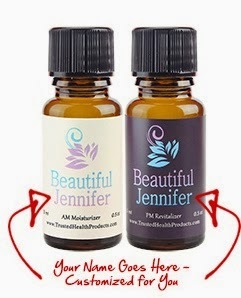 I love that my name is actually on the bottle, reminding me that I am beautiful! Avacado significantly increases the soluble collagen content in the skin to enrich dry, damaged, chapped or wounded skin. Loaded with vitamins A, D and E.
You can read more about each of the ingredients at their website, Trusted Health Products. This great company also has natural product lines for Men, Oral Hygiene, Nutrition and Weight Loss! I'm excited to let you know that 3 of my Gal Pal's will receive a bottle of the AM Moisturizer, so you can see for yourself how great this natural product works! Enter the Rafflecopter Giveaway below!